NOW_THEN opens the Financial Times’ Oceans’11 list. As we dive into a new and exciting campaign, we wanted to share a new feature that is special for us. 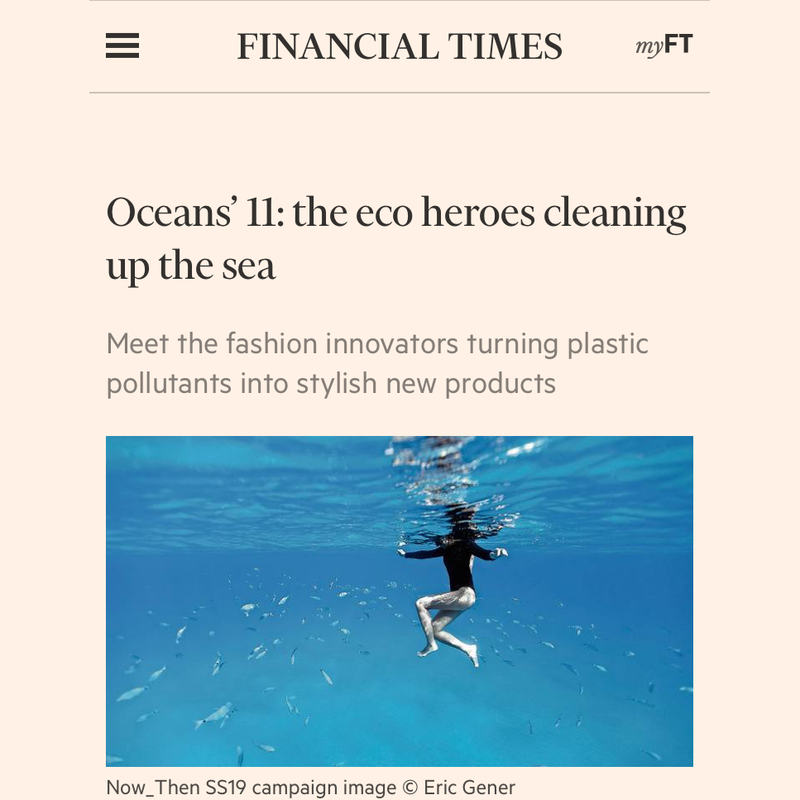 The Financial Times opens its Oceans’11 Eco Heroes list with NOW_THEN, as they share our story from the personal view of our Creative Director Andrea Salinas, speaking about her bonds with the ocean since childhood and how it brought the inspiration to launch a sustainable label. We are beyond honored to be featured in this prestigious media but also to be part of this new wave of labels that are trying to make a difference to protect the ocean with a more sustainable and committed fashion. This is an empowering start of the year and we are excited to share with you all the new challenges to come.